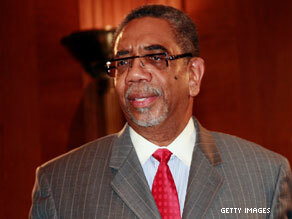 Rep. Bobby Rush, co-chair of the new Congressional 'Jobs Now Caucus'. (CNN) - Members of President Obama's own political party are charging that the White House and the Democratic Congressional leadership are not doing enough to help the unemployed and are threatening to organize a march on Washington of jobless Americans. "Obviously there's something that's not getting through to them," said Rep. Bobby Rush, D-Illinois. "And we're going to let the White House and everybody who's concerned know that we have got people in our districts who are depending on us to deliver for them." Rush and Reps. Marcy Kaptur, D-Ohio, and Candice Miller, R-Michigan, chair the new Congressional "Jobs Now Caucus," which is comprised of 112 Democrats and 17 Republicans. Rush and Kaptur argue that a new jobs program is more important than health care reform, but stop short of threatening to hold up a vote on one of Obama's most important domestic policy initiatives. "We're not there yet," Kaptur said. Some of the proposals being floated by the caucus include: redirecting existing stimulus and TARP money to jobs programs and pressing for a new jobs bill, which they're careful not to call a "stimulus." More than one member of the caucus told CNN the stimulus was crafted without enough input from lawmakers whose districts suffer from the highest jobless rates. "I have been very disappointed in the incomplete manner in which the jobs and the economic recession has been dealt with," said Kaptur, who added, "We don't want to be given short shrift." Rush was more blunt in his demand. "We don't want to be handed a bill and told, 'Alright vote this bill,'" Rush said. "We want to be part of the creation." The frustration by some Democrats comes as the White House prepares to hold a jobs summit Thursday, which will include CEOs and small business owners among others. And on Wednesday, members of the Congressional Black Caucus sat out a vote on financial reform legislation - important to the White House - to protest what they said is a lack of attention paid to job growth in the African American community. Members of the Congressional Black Caucus and the new "Jobs Now Caucus" have accused the administration of listening more closely to Wall Street than to Main Street. The U.S. unemployment rate is at 10.2% but many congressmen believe the true rate is closer to 20% if you include those who have given up looking for work. "We continue to work with all members of the caucus and with the Administration to build on the recovery package and other initiatives to help create jobs and grow our economy after years of mismanagement by the Bush administration." Am starting to worry of all this hostility towards our president from his own party! Whts going on here? WE are eating our own! Isnt the GOP doing a good job cutting down the President? Dont we trust that Obama can lead? It seems we listening to Rush Limbaugh and playing into the hands of hateful opposition Party, who wish they can hv an equivalent of President Obama! This is shameful, we ought to be united or divided we continue to fail esp after all the gloats we gave to the GOP! c'mon progressives! They will never get anything going because they never take responsibility for anything, it's always "Blame Bush", when will Congress and this President stop being crybabies and actually get the hell out of the way and let the people that know a little something about creating jobs do it instead of putting extra tax burdens on them and making things worse? Wrong – he didn't promise jobs. He promised to give states money so THEY could create jobs. STATES ARE NOT CREATING JOBS !!!! Take their money away from them and send it to the people. States are padding their pockets or hoarding the money. Its the economy stupid. Who gave this guy the POTUS job? YOU thats who, lets take this as a teachable moment, and cry in our beer, cheers. Let's take a look at the tax credits that we give to businesses. If jobs are sent overseas, no business should get a tax credit, especially if those credits are not associated with a social security number. We should look into some direct hire and training programs that allows the Government to pay a portion of an employee salary and the employer pay the other half. Most businesses aren't hiring full time employees because there is no need for their products at this moment. We have to be willling to accept the fact that many of us will have to accept some temporary work. We should create a bank to provide loans for states for infrastructure jobs. Everyones a critic. How about some well thought out answers minus the stupid comments? How about supporting the Chief so we can work things out instead of finger pointing or making idiotic hateful comments. I'm really getting sick of stupid people with stupid comments. "Beam me up Scotty.. there is no intelligent carbon based life forms down here!" tell the greddy folks to let the jobs come back to america otr make them pay to leave and send thier products back here to be sold for more. Remember just over a year ago how the Republicans were screaming that the government doesn't create jobs when the Dems were whining Bush wasn't doing enough. The government can help stimulate the economy which in turn can help the private sector create jobs, but the government doesn't create jobs. Sounds like another stimulus plan to me. This time, make sure that the states don't use the stimulus money to fill the budget gaps they have. Make sure that it can only be used for shovel ready jobs and small business loans. Screw the banks and wall street, it's time to take care of main street. double digit unemployment. that's his baby along with the Afghan war. Although we ALL know he'll blame W. for his failures. Obama has his cronies invited to this job circus but not the people who could really help the situation. If and when the job market turns around, Obama probably will take responsibility for it even though he would not earn it. Common sense says he needs people with experience not just ideas. If professors could earn more money in business, they probably would not be professors. Too many of his people are book smart but common sense dumb. Appreciate quite a few comments on this page at this time. STOP all these fake stimulus packages that only drive the Nation into debt with funding give-a-way cash to promote reckless consumer spending. Don't take my tax dollars and give it to someone else to buy a car, washer or refrig. Take back my money from AIG !!!! When are they going to pay us back and with how much interest? Is Uncle Sam charging AIG the same 18% the IRS charges tax payers? Or the 21+% credit card companies charge consumers? Since Obama isn't helping you and many others regarding jobs, talk to Harry Reid, Rep. Rush.....he's real good at giving out 300 million dollar bribes. Mr. Rush needs to get his priorities straight. Jobs have been declining in that region for decades due to our shift to a post-industrial economy, and what's left have been outsourced. Urban crime, poverty, and inadequate public school education don't help the situation either. Perhaps Mr. Rush should have been seeking funding to fix problems on a local level years ago, rather than throw a tantrum now. There's not one person in this country right now who could do what people are demanding be done overnight. Give the President some slack, people! I am very conservative, and often disagree with the president's policies. However, if an oxygen thief like Bobby Rush is criticizing you, you must be doing something right. DO you recall months ago the swashbuckling, grandiose Obama promising 3 million new jobs? This guy is making promises he can't keep, giving people false hopes, sending more troops to their death. Obama will turn out to be nothing more than hype. Americans are so shortsighted, getting caught up in the hysteria of the moment and electing someone who has no business occupying the White House. When do you think the talking heads of CNN will get a clue? Lets work together here people! Ah come on now...aren't you liberals just a wee bit embarrassed with obama's actions and how he's doing a pretty darn good job of alienating just about all of his base supporters one way or another. For the longest time you weren't as bad as ABC, CBS, NBC but now with your 24 hour one sided programming I feel you are just a liberal puppet for the socialist agenda on the edge of being communistic. It so disappoints me to see that our media no longer desires to tell the public the whole story but rather slant it to suit it's own purpose. Shame on you. Yeah, "obviously there is something that is not getting through to them" fo' sho' ; read the article about Michelle's Christmas tree and decorating extravaganza. I heard somebody say that the Jobs Now Caucus is a GOP funded racist coalition. They must not have read the article fully: 112 democrats and just 17 republicans are on the committee. It just goes to show that the liberals do not waste a moment to blame the GOP for everything. I agree that jobs are more important than health care reform, especially when health care is going to cost over a trillion dollars. If we all had jobs, we would be more inclined to accept this health care. But, since Obama and the Democrats have taken office with their slogan of "change", that is all I have left to my name. I agree, Bush was mostly responsible for thsi mess, but at least under Bush's first term, the economy was good and jobs were plentiful. It was about a year after the Democrats got into Congress in 2006 that all this started to happen. So, both sides should be accountable, but that is only in a perfect world. 2010 needs to come soon so we can get these clowns out of office on both sides. We need truthful, fiscally conservative congressman who care more about the people who elected them instead of the special interests. It is time to clean house and take back our government.